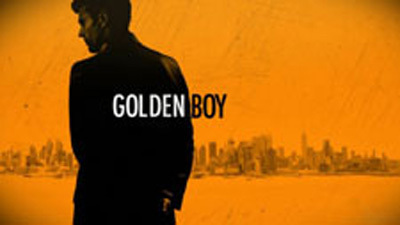 Golden Boy: A Telemystery Series. 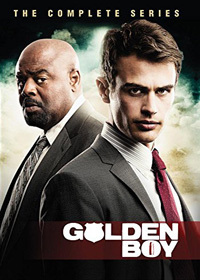 After only three years as a beat cop, Walter William Clark's (Theo James) heroics on the job make him bold enough to ask for and receive the unheard-of promotion to homicide detective, angering the members of his new department who are eager to see him fail. Clark — the titular Golden Boy — is partnered with and mentored by experienced veteran Detective Don Owen (Chi McBride), just two years shy of retirement. He would rather team with First Grade Detective Christian Arroyo (Kevin Alejandro), the alpha dog in the squad who's just as ambitious as Clark, but without a moral center. Keenly observant and politically savvy, the Golden Boy bases his career decisions solely on his need to succeed as quickly as possible, and he'll find that his epic journey will be filled with consequences. This CBS crime drama premiered in Mid-Season 2013 and was not renewed for a second season. Original US air dates: 02/26/2013 to 05/14/2013.